Matthew Farber, Ed.D. is an Assistant Professor of Technology, Innovation, and Pedagogy at the University of Northern Colorado. His research is at the intersection of teacher education, learning technologies, and game-based learning. Dr. Farber has been invited to the White House, to twice keynote for UNESCO, and he has been interviewed about games and learning by NPR, Fox News Radio, The Denver Post, USA TODAY and The Wall Street Journal. 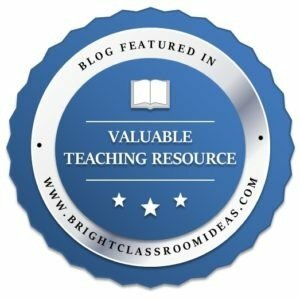 He is an Edutopia blogger, a Certified BrainPOP Educator, and he is in the iCivics Educator Network. With Karen Schrier, Ed.D., he co-authored the UNESCO MGIEP working paper, The Limits and Strengths of Using Digital Games as “Empathy Machines”. Dr. Farber’s book, Gamify Your Classroom: A Field Guide to Game-Based Learning — Revised Edition (Peter Lang, 2017) features a foreword from Greg Toppo. He is the also co-editor of Game Jam Guide (Carnegie Mellon University: ETC Press, 2017). His latest book, Game-Based Learning in Action: How an Expert Affinity Group Teaches with Games (Peter Lang, 2018), has a foreword from James Paul Gee. Matt feels that work-life balance is not a thing for him right now… He hardly ever disconnects because research is basically anywhere, even when traveling to Disney with his family! Before teaching in the university he used to teach in high-school but now his time is supposed to be 60% teaching, 20% research and 20% service, though as he mentioned research is always there. Even before being a teacher he used to work in finance! Now he has found a lot more meaning by working in education, well beyond the monetary rewards. He has been doing what he called Constructionist Gaming which is basically to play a game and then make a game. The idea is to learn by creating meaningful artifacts that in this case are actually games. Teaching this way is where he has had most of his success. As a concrete example, he uses a card-game version of Werewolf and asked the students how they felt after the game. The students often come to the conclusion that it’s something similar to what happened with the Salem Witches and it inspired them to read books well beyond their reading grade. Then when they design themselves a game they end up also becoming epistemologists in a way as well. Matthew has been trained in the Institute of Play’s TeacherQuest Program. In his classes, even before going through the syllabus and other formalities (he teaches to other teachers), he starts the class by asking “how do you define technology” and goes through several rounds. Using post-it notes they need to write their answers and then groups them together based on what are areas of commonality. The classroom gets really loud which he loves and they do a shareout. The class ends with the 7 Principles of Game-Like Learning of the Institute of Play. They really understand it because they experienced it first. In the class where he teaches Classcraft, he doesn’t explain anything until they have already experienced it for a while and of course then they really get it at once, they actually like it because they are used to lectures. A best practice would certainly be student choice! We went into a very interesting rant about real and apparent choice among others, you can enjoy it listening to the episode. His favorite videogame was Portal 2. In general, he likes environmental puzzles and he is currently playing Overcooked with this son a lot. His favorite board game would be Pandemic! Matt would love to listen to Glen Irvin on Professor Game! As far as books he mentioned What Video Games Have to Teach Us About Learning and Literacy by James Paul Gee. However, the book that he would recommend would be Connected Gaming by Yasmin Kafai and Quinn Burke. His superpower would be to function as a “connected curator” for his students. His final advice would be to keep exploring and trying different things for students, there is no magic elixir! We can find him at matthewfarber.com or on Twitter as @MatthewFarber. Until next time!